Will be heading to NYCC for the first time next week, do drop by the Artist Alley booth U10! Malinky Robot (including the Boxed Set), Liquid City, Posters, Postcards and Original Art will be all on sale :p Stay updated for more news with Twitter! In the meanwhile, a couple of recent Malinky Robot Reviews! 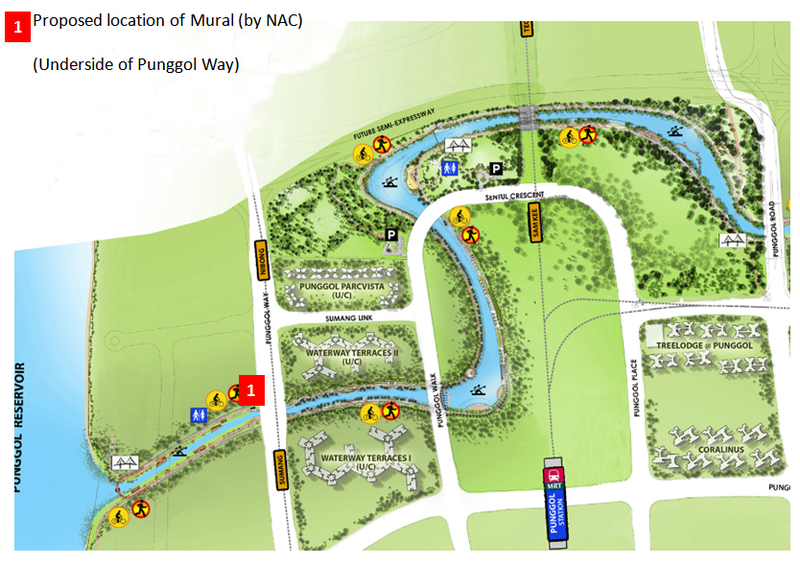 The Mural Project at Punggol Waterways is finally done! 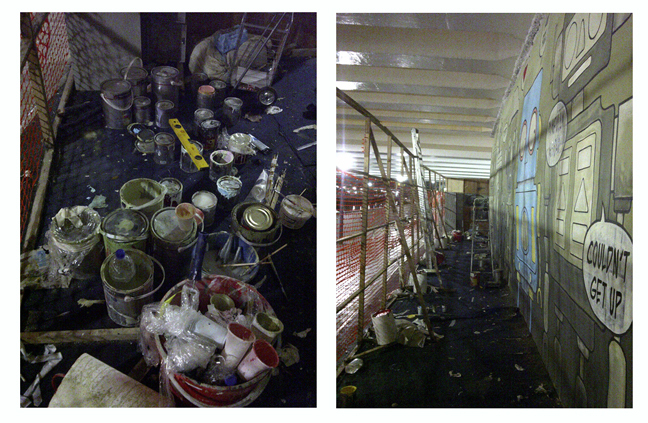 (Click on image above for larger version of the image) It’s been a long drawn out process with a bit of a learning curve – lots of logistics involved, from paints and tools (brushes, rollers, extra large compasses, spirits levels, masking tape) required to scaffoldings and worksite insurance. 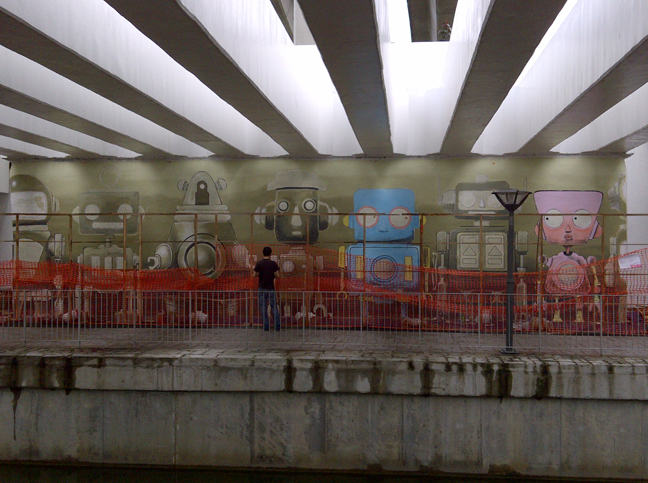 Having never worked on an actual wall mural before, i roped in Alan Leong, Reuben Ashley and others who’d done mural work for Social Creatives to help out with the process. 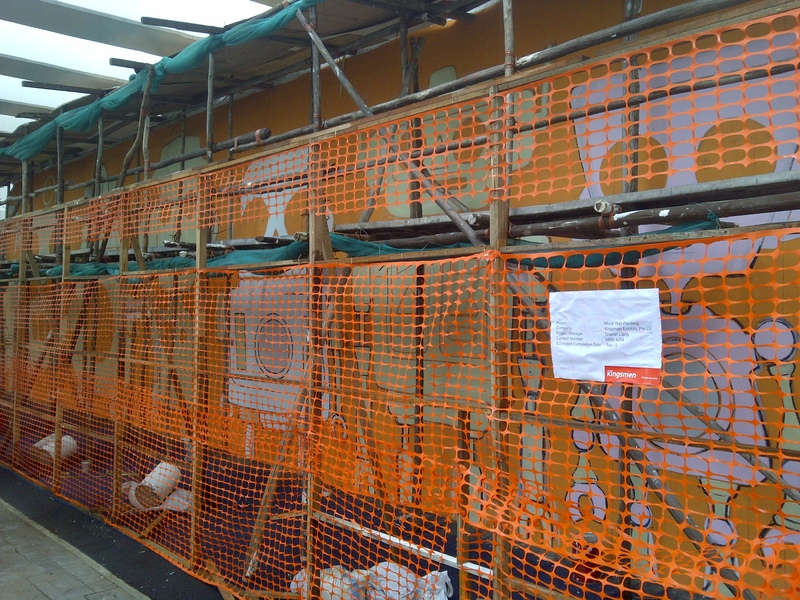 The location made things tricky – next to a fairly narrow footpath, which meant that the worksite had to be cordoned off somehow, leaving less than ideal space for the team to be able to work from (and view the progress from a distance). 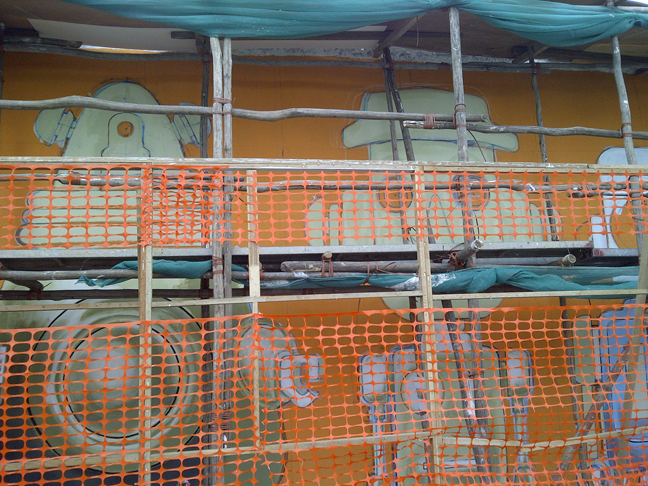 In the end it was a combination of orange netting with holes, mobile scaffoldings and a lot of ad hoc ways of getting things done. 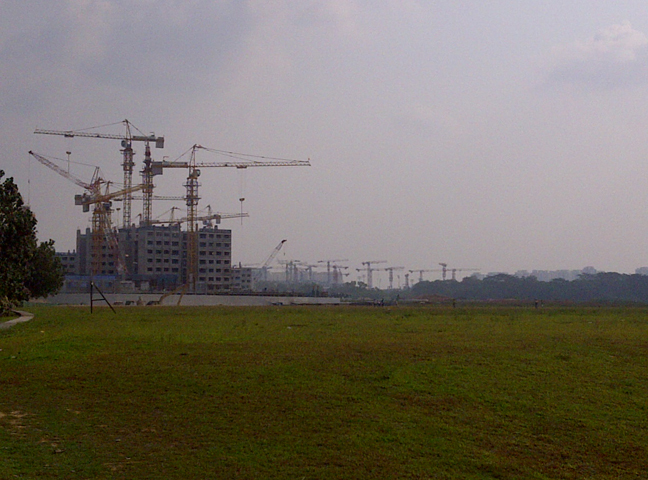 Big thanks to Nik, Mingjie, Alan, Reuben, Xueling, Chanel, Cassie, Siew May and Shiuan for all the work put in!